A similar claim is made by Charles Lister, in the following tweet. Did Russia warn the people of besieged East Aleppo that "If you do not leave these areas urgently, you will be annihilated"? Read & repeat. If you don't leave, you'll be bombed. Save yourselves. You've been left to your own fate. Although the exact word annihilated is not used, the leaflets indicate as such. Krishnan Guru-Murthy's report on Channel 4 News (UK) on 3 November 2016 seems fairly convincing. Before the bombs came war-time confetti, in elegant circles. Messages to East Aleppo. 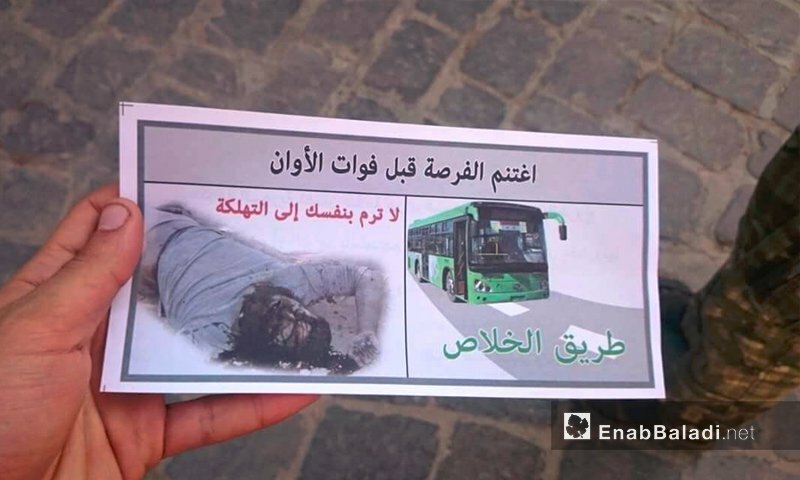 And those are the leaflets that are just being dropped by the air-force that they hope will land on East Aleppo telling them a stark warning that this is there last chance they've got to get out. 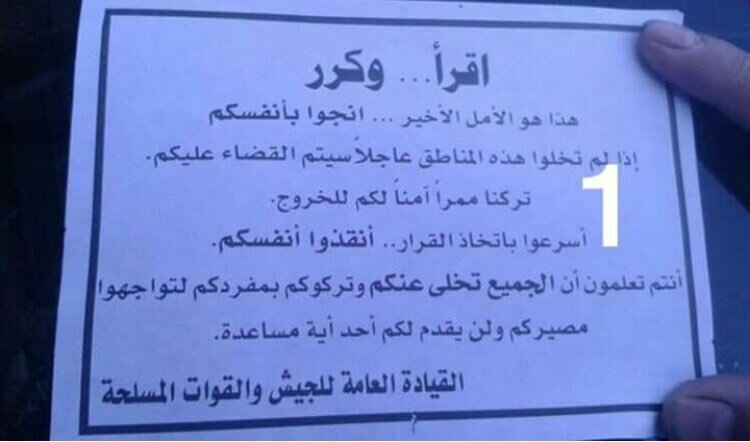 The Syrian and Russian air-force dropped these leaflets over East Aleppo telling people that from 9am tomorrow morning until 7pm, that is their last window to leave Aleppo. The threat is of all-out war. Not the answer you're looking for? Browse other questions tagged war russia syria . Do the Crimean people prefer to be with Russia than with Ukraine?